The World Health Organization (WHO) on 3rd May 2009 Interim guidance titled “Advice on the use of masks in the community setting in Influenza A (H1N1) outbreaks” stated clearly that “If masks are worn, proper use and disposable is essential to ensure they are potentially effective and to avoid any increase in risk of transmission associated with the incorrect use of masks” The Interim Guidance also stated that “Using a mask incorrectly however, may actually increase the risk of transmission, rather than reduce it”. If you have decided to wear face mask or respirator to protect yourself from the risk of influenza transmission, you must understand the correct use of the masks. Although there is no sufficient evidence proving that wearing face masks will protect one from the influenza virus, WHO and CDC recommended either a medical or surgical face mask, or a N95 or FFP2 respirator mask. Not all single-use face masks are labeled as medical or surgical mask. I prefer the 3-ply non-woven face mask that is made of synthetic fibrous materials. They are used as surgical mask and as clean room mask. Most of them are sold in pack of 50 pieces each with a pair of elastic ear loop bands or non-elastic head tie. 3-ply mask has 3 filtration layers and therefore could be more effective in filtering and preventing droplets or mists from reaching the nose and mouth. The non-woven mask is more resistant to tear when wet or moist as compared to the paper mask. 3-Ply mask can be green, blue or white in color. Color does not matter. The 1-ply and 2-ply paper face mask are sold in box of 100 pieces. They are made of paper material and are easily torn especially when it is wet or moist by mist. Beside these, there are the cloth masks made of cloth materials. Many of them are home made. Their effectiveness as facemasks against droplets or mists is doubtful. Most of them are multilayer and they must be frequently laundry-washed. 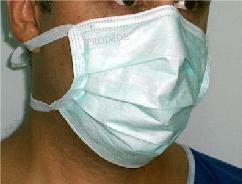 Wearing a 3-ply medical or surgical facemask is recommended when you are going to a public or crowded area where there is potential danger of influenza contamination. WHO guidance is keeping a safe distance of at least 3 to 5 feet away from anyone who you may want to keep a distance in whatever form of social contact. If you are going to help or take care of some one who is having symptoms of influenza infection, you need a N95 or FFP2 respirator mask. N95 is an American standard measuring the efficiency of a mask in filtering particulates while FFP2 is a European Standard. Although there are many masks in the market labeled as N95 or FFP2 masks, there are basically 2 types of particulate mask – the pre-molded round shape mask and the foldable mask. I prefer the foldable FFP2 respirator mask as it has a better facial seal than the pre-molded round shape mask. The foldable mask, when not in use, can be folded up and kept in pocket or handbag (lady) not only tidy and handy but also keeping the inner surface of the mask clean. You can not fold a pre-molded round shape mask. 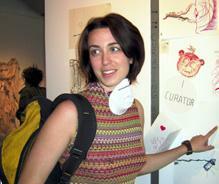 Most people hang the mask on their neck exposing the inner surface of the mask to contaminants. Wearing a face mask or respirator may not protect you from influenza unless you use it correctly. 1. You must wash clean your hand before wearing a mask. In critical time or environment, it is best to wash your hands using antibacterial hand soap dispensed by an automatic hand soap dispenser to avoid contamination. If you can not wash your hands or can not find a place to do so, you can use alcohol based hand disinfectant. 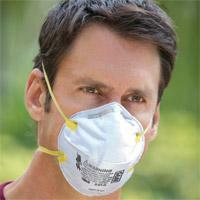 Single use face mask and respirator mask are not for long hours wearing. Their effectiveness against particulates or droplets filtration decreases as they are moist by our perspiration and moist air we breathed in and out through the mask. They should be change frequently and every time we sneeze or cough. When some one sneezed or coughed beside you at close distance and you believed that your mask is likely contaminated, you should leave and take off you mask. 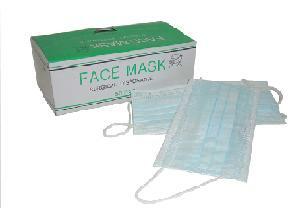 Seal the used mask in a plastic bag and dispose it according to local authorities’ instruction. Wash your hand with water and soap after disposal of used mask. Do not put on a new mask onto your face without washing your hands clean with water and hand soap. Otherwise, you will contaminate the new mask before you put it on. 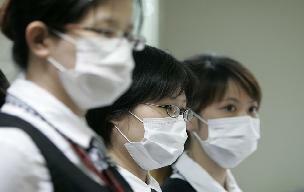 Wearing a contaminated mask around will help spreading the influenza virus. Do wash clean your hands or disinfect your hands using a disinfectant before taking and putting on a new clean mask. 2. Donning of mask – follow these procedure to properly fit a mask on your face. You must wear the face mask or respirator correctly covering both your nose and mouth. It is not uncommon seeing that people covered only their mouth leaving the nose expose. That is wrong. You may argue that people are doing so because they feel hot when using the mask. This is true because you are breathing in and out from the same mask and there is always some exhaled air trapped in the mask You in fact breath in back some of the exhaled air before it leaves the mask. You must sacrifice certain degree of comfort for the sake of safety. Don the same way for face mask and respirator mask. Do not touch the inner surface of the mask when you put it on or when you take it down for disposal. Single use face mask and respirator mask can never give you a perfect facial seal. There are always some leakages from the sides of the mask. Proper fitting of face mask by moving and pressing your fingers around to conform the mask to the contour of your face may reduce leakage. Remember, wearing correctly a face mask or respirator is important although it does not give you a sure protection against influenza virus. Combining this with personal hygiene such as washing or disinfect hands frequently and whenever necessary will, however, help reduce spreading of the infectious pathogen.